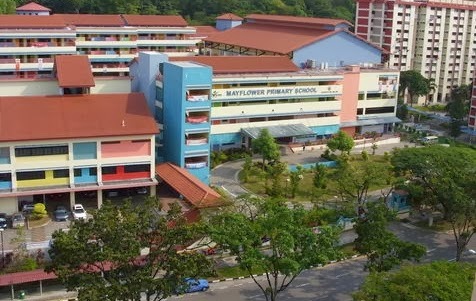 Mayflower Primary School is located at 200 Ang Mio Kio Avenue 5 in Singapore 569878. It is enclosed within the Ang Mio Kio Region. Ang Mio Kio is a heartland new town that is situated at the north central section of Singapore. It in composed of wet markets, hawker centers and HDB housings. Nearest MRT is Yio Chu kang MRT and the closest Bus interchange is Ang Mio Kio Bus Interchange. Amenities in the area include Ang Mio Kio Hub, NTUC Fairprice and Sheng Siong Supermarket. Some of the schools close by are Yio Chu kang Secondary School, Anderson Junior College and Presbyterian High School.